Iceland was the first country I traveled alone to, and to date, it is still the most beautiful country I’ve ever visited. Its iconic landscapes are easily identifiable, but based on my Instagram poll, most of you still wanted me to dedicate a post to this island of 300,000 people. Let’s begin with a little recent background, tourism in Iceland wasn’t always as big as it is now, it really took off after the country’s financial crisis of 2008 to 2011. The three largest privately owned Icelandic banks defaulted, causing a major economic depression. I am not an expert in economy and finance but Iceland essentially shifted their focus to international tourism as a replacement for banking as its primary source of foreign earnings. 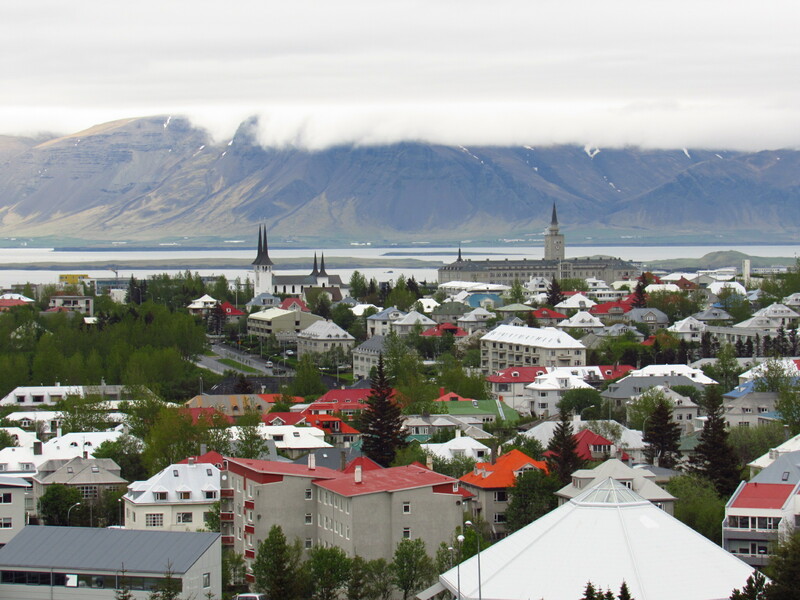 Tourists started flocking in, especially from the United States with the introduction of low-cost airline, WOW air, connecting major US cities to Reykjavik and other European hubs. A two-way trip from Chicago to Reykjavik can cost as little as $200, that’s less than what I pay for a local flight from Des Moines. 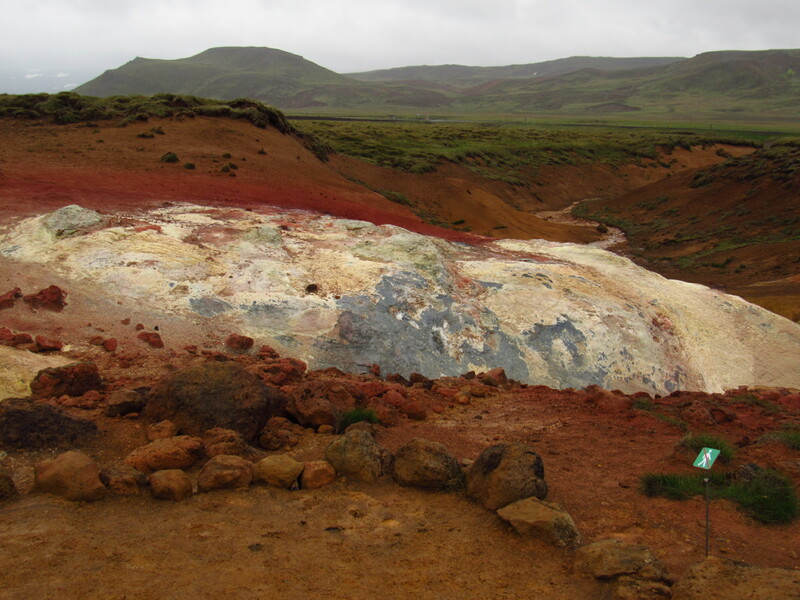 Now, is Iceland really as pretty as you see on Google images? Yes, a very hard yes. Should you visit Iceland, given the chance? Yes, let me tell you how I enjoyed Iceland below. There are places in Iceland everyone has seen on the internet now, here’s a rundown on those I actually visited. There are some I missed out, intentionally or not. 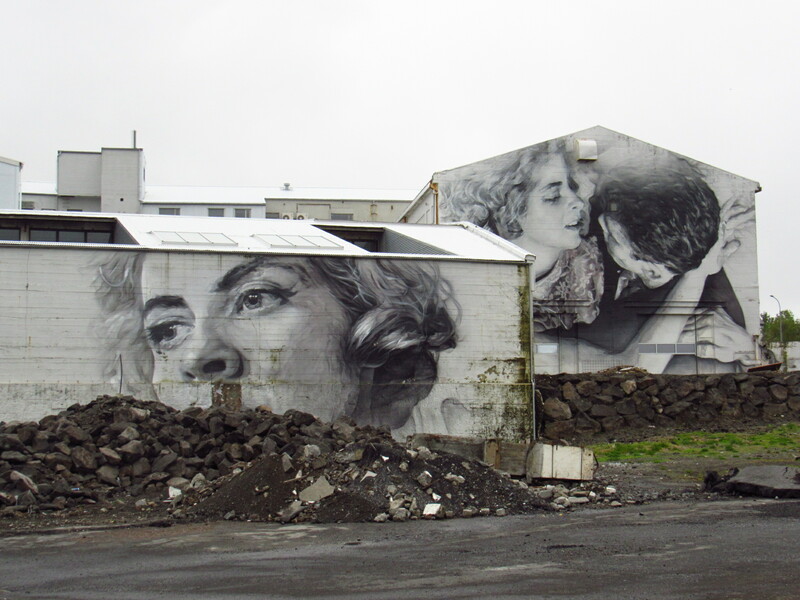 Reykjavik has some of the best murals I’ve seen. The city certainly has a hipster feel to it, but step on the Old Town and you can just see how tourist-centric it is. There are puffin stores aplenty and souvenir shops all over. Thingvellir National Park. If this place looks familiar to you, it’s because they shot Game of Thrones here. Vik Village. Home to just over 300 inhabitants. 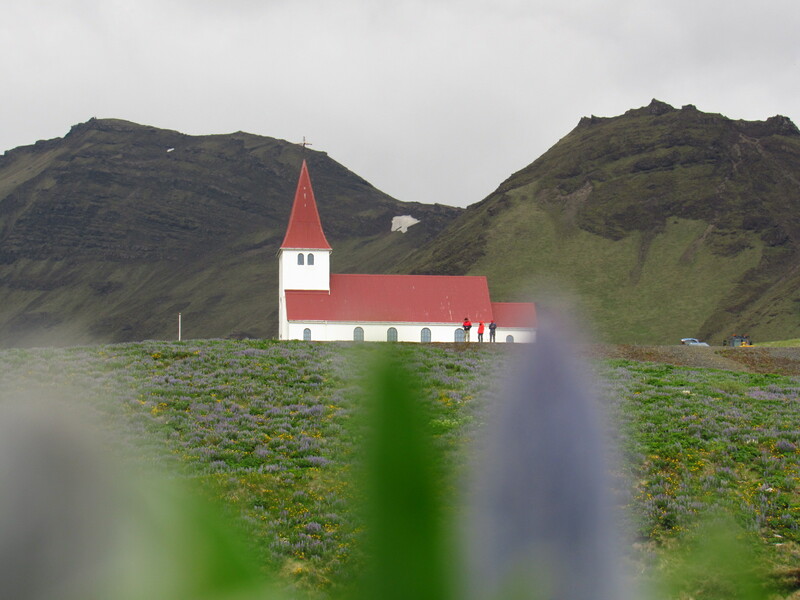 Pictured is the Vik Church behind Lupine flowers present almost everywhere. Lupine if kind of considered an invasive species in Iceland. 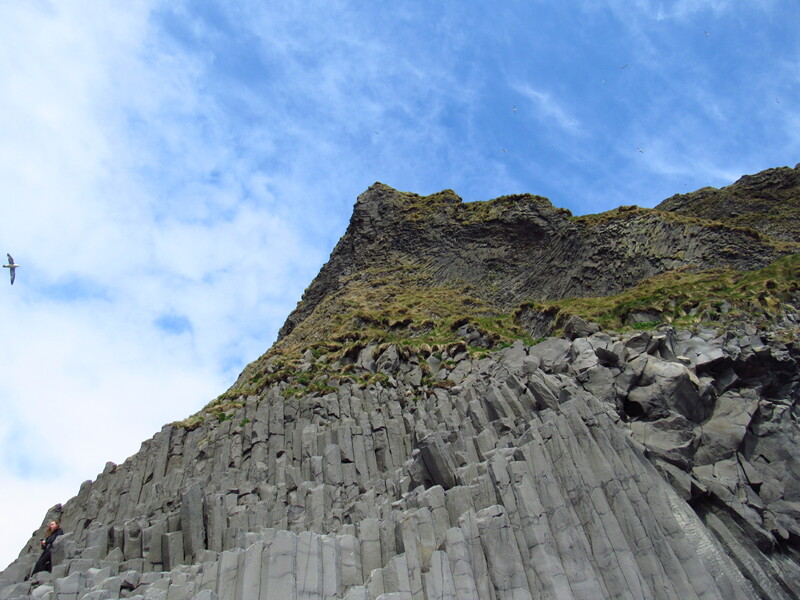 Beautiful basalt formation at Reynisdrangar Black Sand Beach. 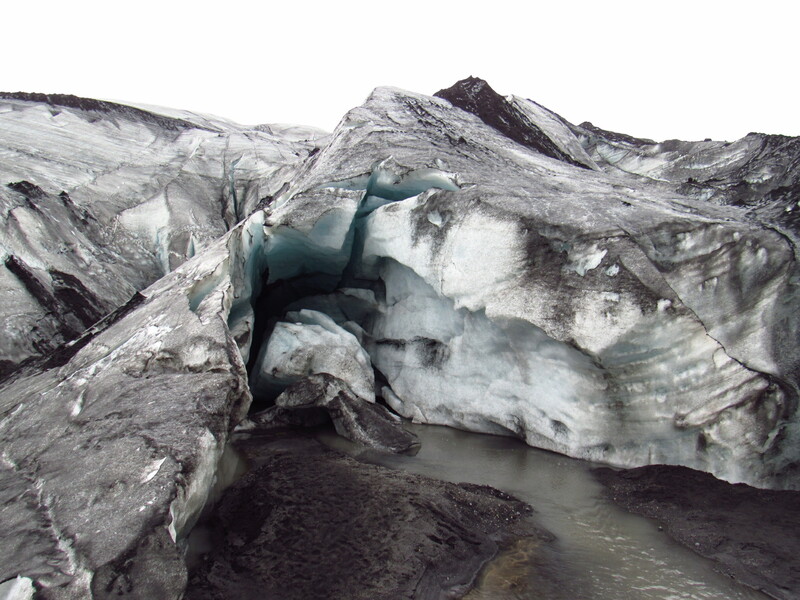 Solheimajokull Glacier. They offer glacier walk tours here, but I didn’t want to pay more to walk on ice. 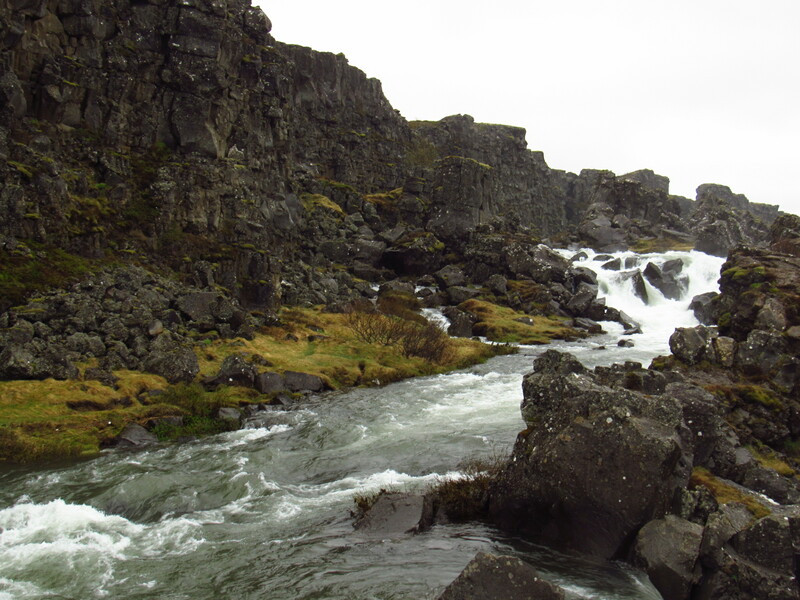 I visited many of the popular waterfalls of Iceland. Gljufrabui is my favourite. 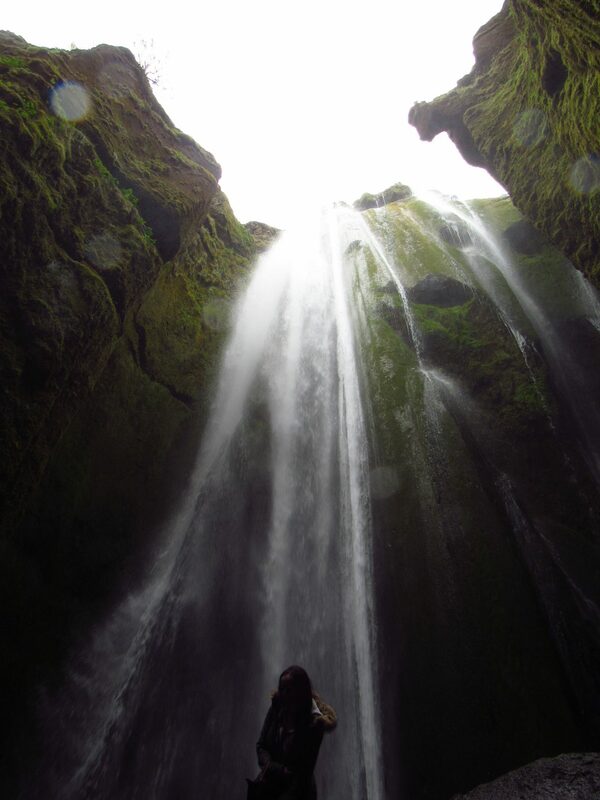 Located near the much larger and more popular Seljalandsfoss, Gljufrabui evokes emotions of fantasy and intimacy with nature. When you enter the canyon where the waterfall is, it is literally just you, the walls, and a beautiful stream of water. I would recommend GeoIceland Day Tours if you’re not in a position to visit these places on your own. I had a great experience with them, they picked me up at my hostel in a minivan and the small group meant it was easier to ask questions and learn stuff. The prices are also reasonable given how Iceland is NOT a budget-friendly country for backpackers. Now, you might notice I missed out on Blue Lagoon. I did go there, but I only watched from the outside. The main reason being that I travel on a budget, but Blue Lagoon brands itself as a luxury experience. The entrance fee was (probably still is) 5000 ISK per person (35 Euros), why would I pay that to bathe alone among a bunch of tourists? 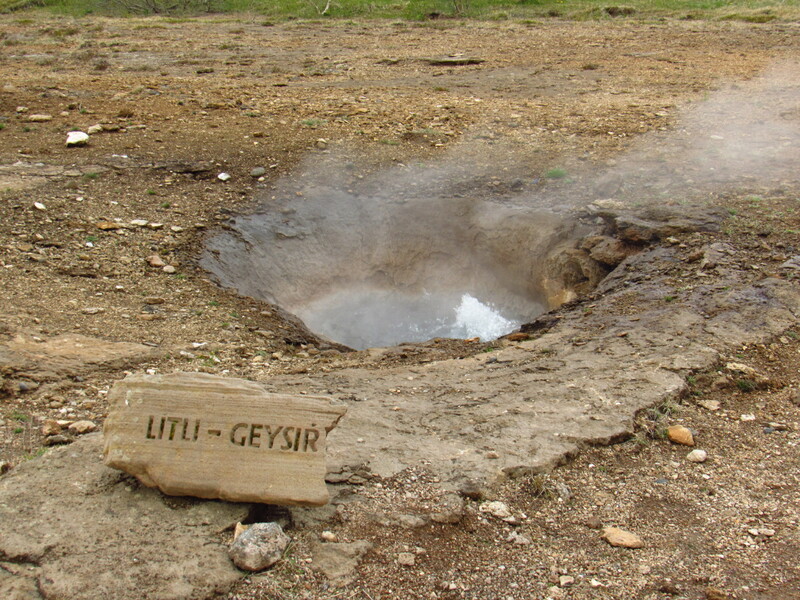 I paid 7 Euros to enjoy the geothermal swimming pool at Laugardalslaug next to the national stadium. That being said, I would have been willing to enter the Lagoon as part of a group, seems to make more sense to me. Not following a planned schedule allowed me to look into some other interesting places and activities in Southwestern Iceland. 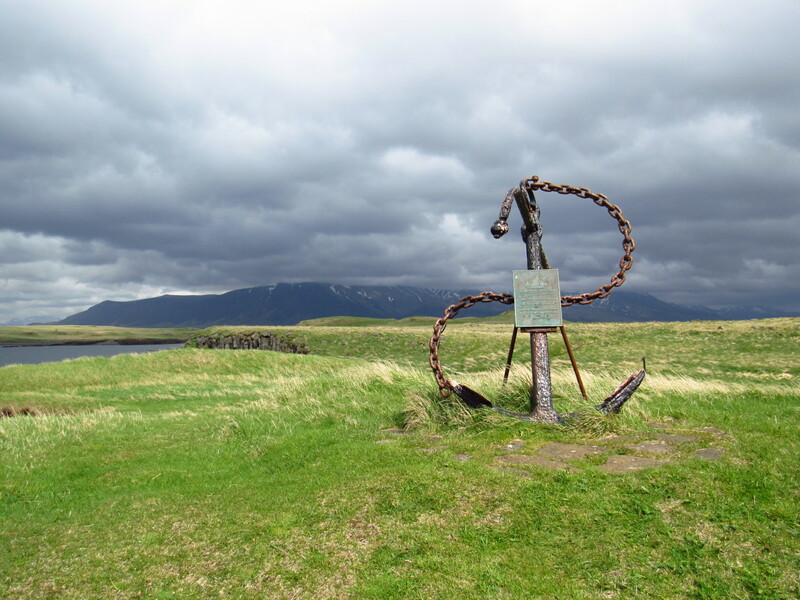 The harbour in Reykjavik has ships and boats that take you to nearby islands, It was here I discovered Videy Island. A quiet, pristine island filled with lush greenery and surrounded by the ocean. Videy Island was where I unexpectedly spent half my day. There weren’t many people here but it’s an amazing place to just take in the view, have a picnic and just explore old structures still on the island. 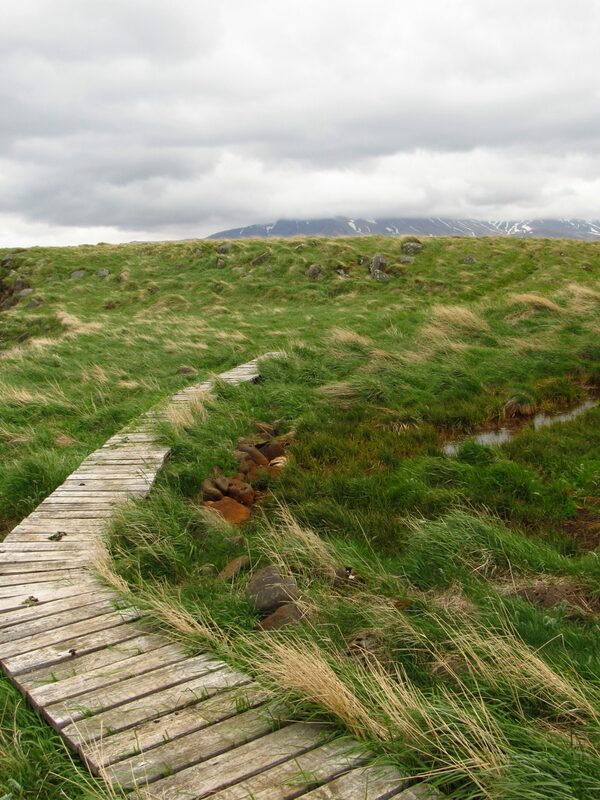 Perhaps my favourite photo from Iceland, taken on Videy Island. Have you heard of the relationship between Icelanders and elves? 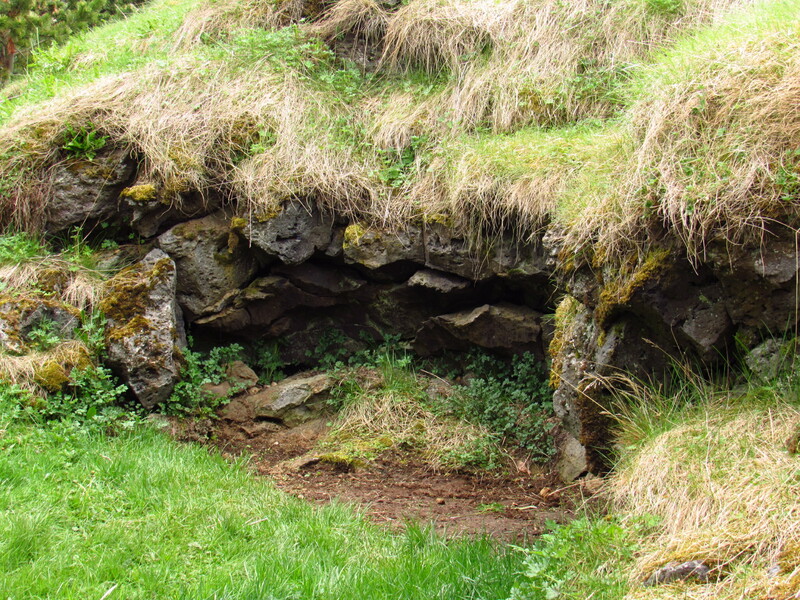 Huldufolk (elves) is an important folklore in Iceland. People sometimes draw windows and doors on rocks or tree stumps believed to be houses of elves. I read that the town of Hafnarfjordur is a hotbed for elf activities, so I took a day trip there in hopes of finding one. I was told they live in little caves like this but I couldn’t find any. My day was ruined because I fully expected to meet a real living elf. 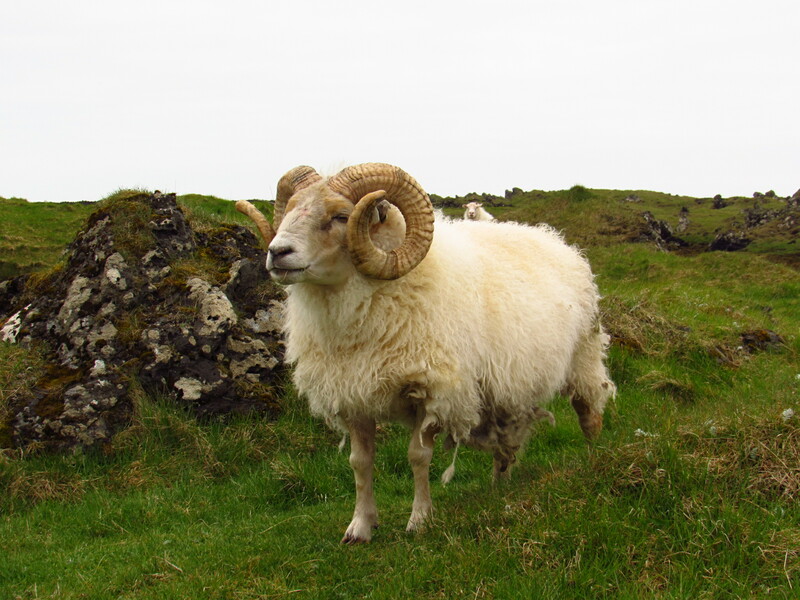 Real-live creatures also exist in Iceland. I didn’t join the puffin tours that are offered everywhere but I did see these funny birds. 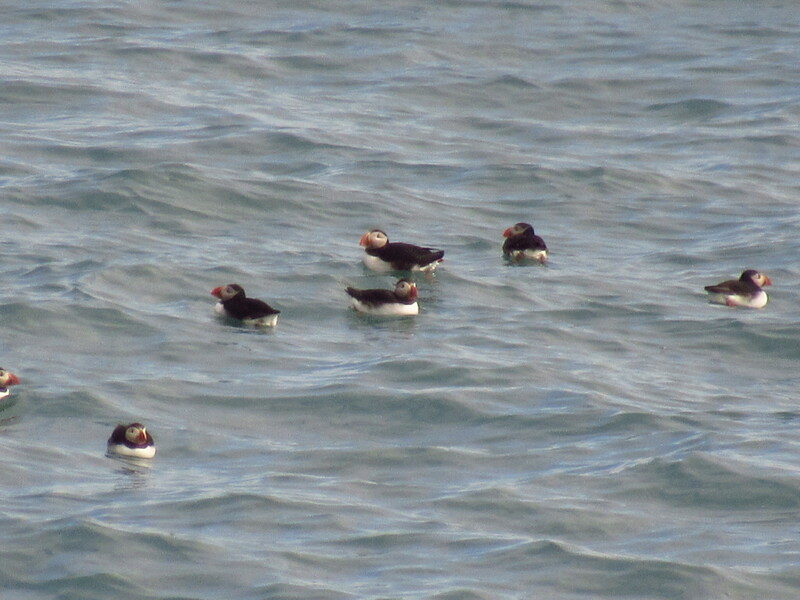 Pictured are puffins I saw from extremely far away. They just float on the water like rubber ducks, sometimes they fly towards to cliffs, pretty cute creatures. Icelandic cuisine is a little different than most. Although fish served in restaurants are super fresh and yummy, I also tried some rather…non-mainstream food. First, a little anecdote, I tried to save money by making soup myself. I was looking ribs at a Bonus supermarket and bought what looked like pork ribs. They turned out to be horse meat and I didn’t know until I consumed the soup and my host Birgir had told me. It didn’t really make the soup taste any different but the meat is pretty reddish even after cooked and quite lean considering how much horses run. Horse meat is one of the cheapest types of meat in Iceland, not many people eat them but they’re there. 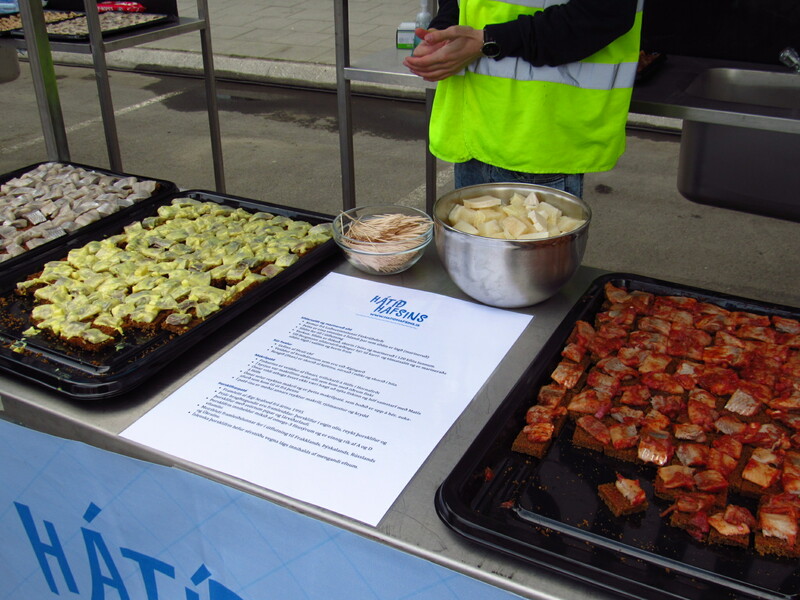 Some appetizers for tasting during Fisherman’s Day at the Reykjavik Harbour. The yellowish foodstuff in the large silver bowl is pickled whale meat. Again, I didn’t know what they were until after I tried them and asked the lady who offered them to me. It tasted like a sour fruit, but it was very chewy. Some restaurants in Iceland serve whale meat dishes but I’ve heard a lot about how they’re only doing it for tourists, since locals don’t really eat whale meat much. Here is a little PSA, don’t order whale meat in restaurants, it’s not really a part of Icelandic cuisine and whales shouldn’t have to die for it. 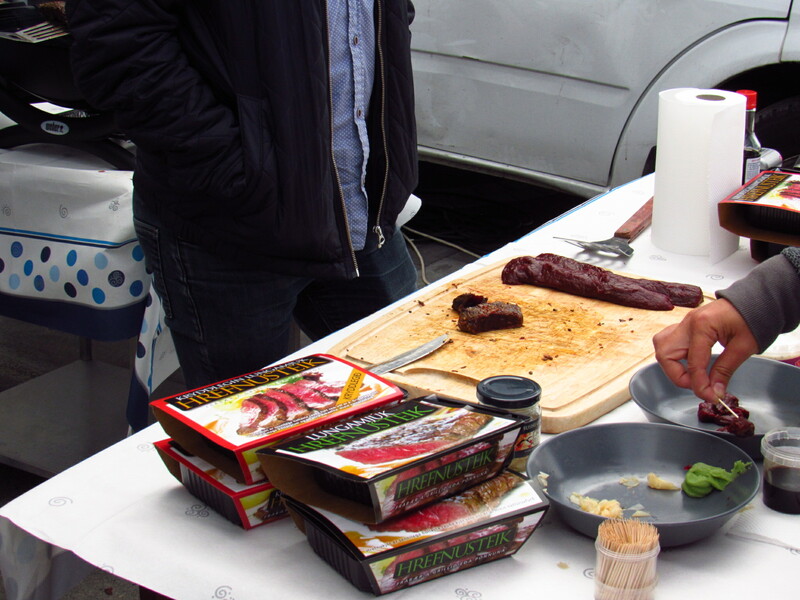 I was also offered seared whale meat for tasting. They tasted like beef, looked like it too. I went deliberately in search of this infamous Icelandic national dish- Hakarl. 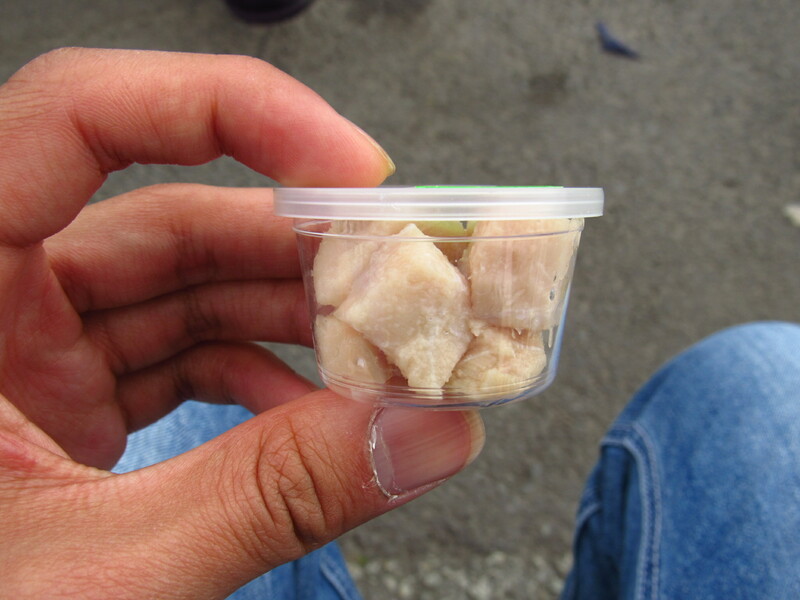 It is fermented sleeper shark meat known to smell and taste very very pungent. The smell really overwhelmed me. I couldn’t smell anything other than ammonia when I opened the container. Taste-wise, it wasn’t that awful, but wasn’t pleasant either. They are usually consumed with brennivin, a local type of spirit. I also made a rather risky and dumb decision to bring them back to Malaysia on my carry-on bag. Luckily, the container was tight enough that the smell did not leak. 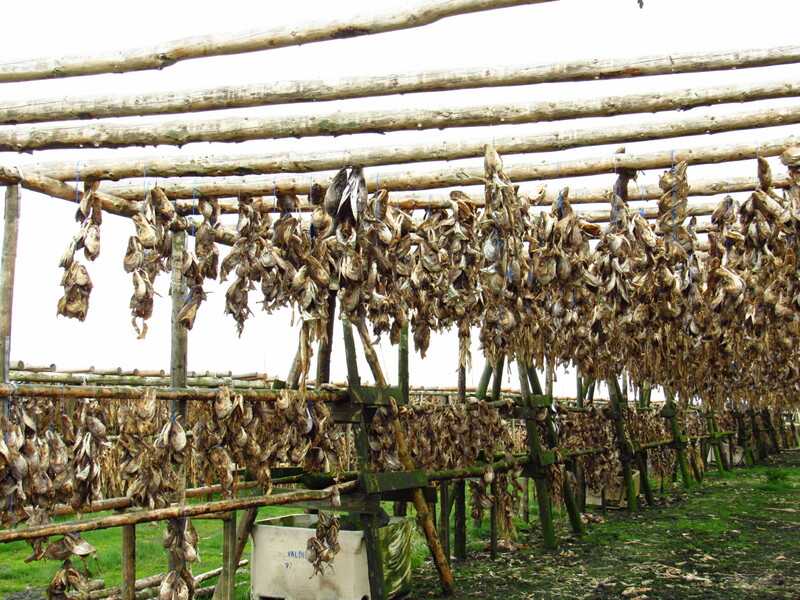 Dried cod’s head hanging on a drying rack. They are exported to various parts of the world, including to as far as Africa. 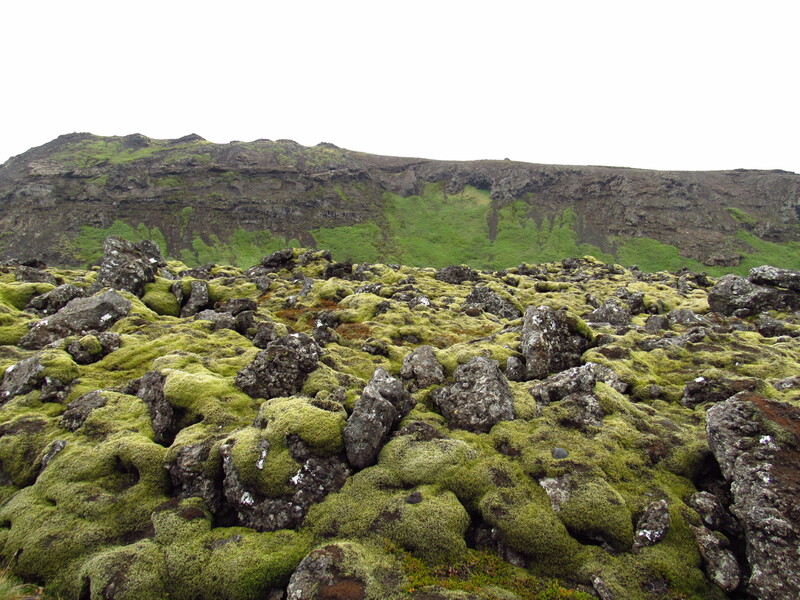 Mossy lava field in Iceland. Do not step on the moss in Iceland! They are very sensitive and takes up to a century to regrow. Justin Bieber once caused a stir for trampling on Icelandic moss while filming a video. A ram, up close and personal. The arctic fox is the only mammal native to Iceland, every other species were introduced to the country. There are zero large predatory animals here, more importantly, there are no MOSQUITOES in Iceland. How do I Spend Less in Iceland? For half my trip I stayed at Kex Hostel, a very hipster place that used to be a biscuit factory. It was just about affordable enough for me as I said before, Iceland is EXPENSIVE. I Couchsurfed the other part of my trip, helping save a ton of money and knowing my wonderful host Birgir! There are also campsites around the country and if you’re adventurous and have your own tents and essentials, why not? For food, there really aren’t too many options. I cook myself sometimes but it would have to be a very basic meal, meat is expensive. If you want to eat outside but not spend too much, there are two options I know of. 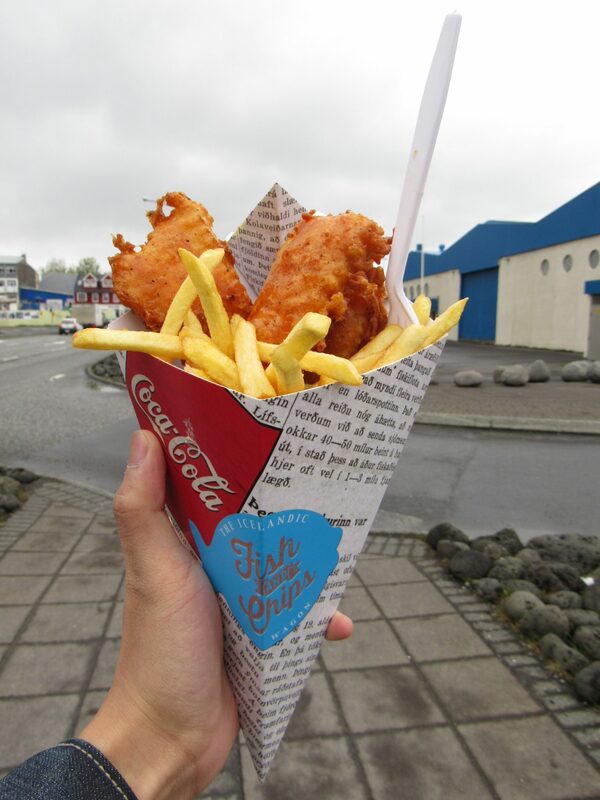 The Fish & Chips Wagon found in Reykjavik is not too expensive and the portion is pretty big. 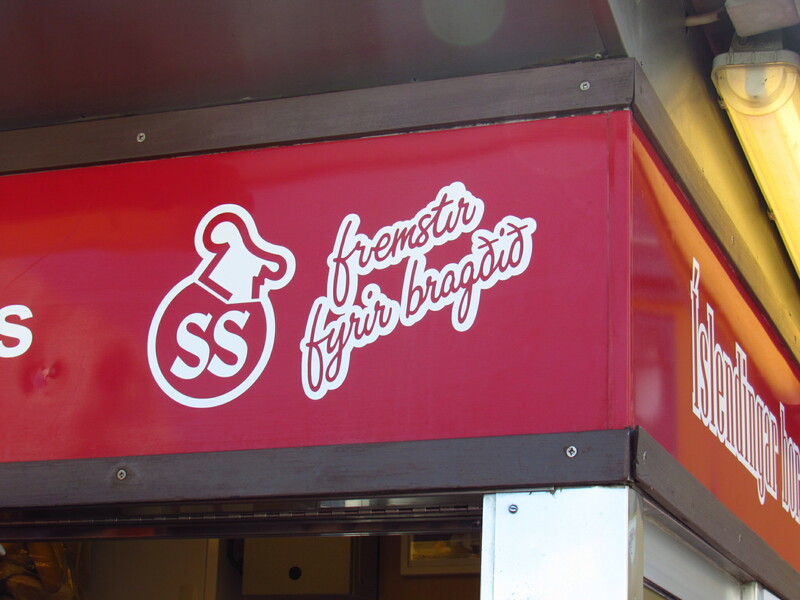 This is probably the most popular hotdog place in Reykjavik. Located in downtown, there is always a line so you wont miss it. Bæjarins Beztu Pylsur serve relatively cheap hotdogs and taste pretty good. Alas, we can’t live on a hotdog-exclusive diet. If given the chance, visit Iceland! It is not the most wallet-friendly destination (none of the Nordic countries are,) but if I (someone who avoids touristy places) could enjoy it, I believe most people will! I posed on the old bridge in Prizren, Kosovo. 22 year-old journalism and anthropology graduate from Drake University, IA, USA. I dedicate this site to my travel experiences and photos as I begin my journey to become an expert globe trekker. My interest in travelling began with my family as I boarded a plane for the first time at the age of five, going to Bangkok, Thailand and later that year to Queensland, Australia. As of right now, I have been to 34 countries throughout the world. Only recently have I discovered the joyous experience of travelling alone as I was away from my family in Malaysia. I solo traveled for the first time in the Summer of 2016 when I took a 36 hour bus ride to Boston and then a flight to Reykjavik, Iceland. It was the experience of a lifetime and I decided to turn my travels into stories, writing journals about little anecdotes, people I met, food I ate, embarrassing things I did and much more. I acknowledge my privilege of being able to afford to travel and do what so many people cannot afford to, that is why I am keen to share my experiences with people. I like telling stories through photos, but rarely with photos of myself. I don’t believe I should be an integral part of my stories, the experiences should be, the scenery should be, the locals should be. Carrying nothing but a backpack with me, hopping from bus to bus, hostel to hostel, I have many interesting and even scary moments from my travels I’d like to share, and of course tips of saving money, food, accommodation, and transportation with other travelers. Being a fresh grad, I’ve not been able to plan super long trips from one part of the world to another. The most intense journey I have done was spending six months in the poorest region of Europe, studying, working and exploring. I spent three months in Belgrade, Serbia as a foreign student studying the effects of modern-day war in the Balkans. For another month, I lived in Sarajevo, Bosnia-Herzegovina to document the underprivileged lives of the Roma people. I also worked as an intern for one of the most popular independent online media in the young nation of Kosovo, covering various issues and events as my job took me from one end of the small country to the other. In between, I explored Romania, Hungary, Austria, Slovakia, Slovenia, Albania, Montenegro, Macedonia and Turkey. Expect stories from these places, and more! In January 2018, to escape the bitter Iowan winter, I spent a long week in the island nation of Cuba. That was the most difficult trip I have made as a solo traveler because of the language barrier and also the low accessibility to technology.